A while ago, Anna had to learn My Luve’s like a red, red rose by Rabbie Burns and she asked me for help with the pronunciation, considering me to be the resident Scots language expert. Most of it was straightforward enough, but what pronunciation did Burns have in mind when he wrote Luve? All you hear today is /lʌv/, but if Burns had intended the same pronunciation as in English, he would surely have written Love instead. What this means is that Burns probably pronounced Luve as /le:(v)/ (there’s evidence for the unrounding of /ø/ in his pronunciation in rhymes such as ane /jɪn/ — abuin /əbɪn/, not /əbøn/), but that this pronunciation died out a while ago. 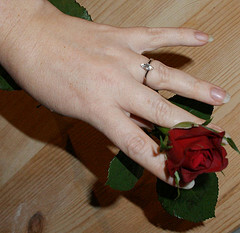 In effect modern Scottish love is thus a borrowing from English, and this has fully replaced the native word. If anyone wants to revive the auld Scots word (or just wants to pronounce it correctly in older poetry), there’s thus a choice between luiv(e) and lae (not *lui: <ui> is never used word-finally — we write dae and shae, not *dui and *shui in spite of the vowel being the same as the one in puir and shuir), with the expected pronunciations (/le:(v)/ in Central Scots, /li:(v)/ in Northern, /lø:(v)/ in Insular). I can’t help wondering whether /le:/ died out because it became homophonous with ‘lay’ in the Central dialects, which might for instance have added a potential new meaning to the line And I will luve thee still, my dear. That’s sweetlie played in tuin. Till aw the seas gang dry. While the saunds o life sall rin. An fare-thee-weel, ma ainlie lae! Tho ’t were ten thousen mile! 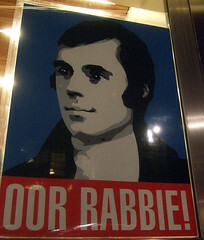 Oor Rabbie by alister, on Flickr. In the 2011 census, 1,225,622 fowks indicatit that thay coud speak, read an write Scots, an this maks Scots a heap muckler nor Gaelic. Houaniver, thair is practicallie nae support for the leid in Scotland — we daena hae TV or radio stations (forby wee programmes on the Internet), thair is nae Scots schuils, an thair is nae leid courses whaur outlins (sic as masel) can lairn Scots. Ye can uise Facebook in Faeroese or e’en in Pirate Inglis, but no in Scots. Google Translate canna help ye wi Scots, an yer phone’s autocorreck will chynge yer perfecklie guid Scots intae braken Inglis. Forby this, monie (maist?) Scots thinks Scots is juist a dialeck o Inglis, an thay aft feel bad about speakin it. This is ane o the monie things that is creautin the Scots creenge. At the maument there’s three Scots leid organisations in Scotland: The Scots Leid Associe (SLA), the Centre for the Scots Leid (SLC) an the Scots Leid Dictionars (SLD). The SLA is fecklie concernt wi publishin leeteratur in Scots; the SLC is forderin the interests o Scots speakers (nearlins like a ceevil richts muivement); and the SLD is documentin the leid an publishin academic dictionars. Thay ar aw daein a byous job, but nane o thaim sees is as thair rôle tae staundartise the leid an creaut the tuils needit tae lear Scots tae fowks wha daesna speak it yit. Whan A say “staundartise the leid”, A mean it. The SLA thinks a normative orthographie wad juist be a hinderance for the makars, the SLD daesna want tae bother the fowks wha gat thair erse skelpit for uisin Scots wirds at schuil, an the SLD is simplie documentin whit awbody is daein. Houaniver, ye canna tell a fremmit lairner or a schuil bairn wha anelie haes passive knawledge o Scots that thay maun juist say whit feels richt tae thaim — the result definatelie wadna be Scots! Ye canna mak a spellchecker that allous ilka spellin variant in uiss — it wadna richtifee oniething ava. An schuils will need guideship on whit tae lear tae the bairns. This isna about creautin a oppressive orthographie — makars and native speakers can write Scots onie wey thay want. Houaniver, the lave o us needs a norm. Monie ither leids haes been in the same situation. 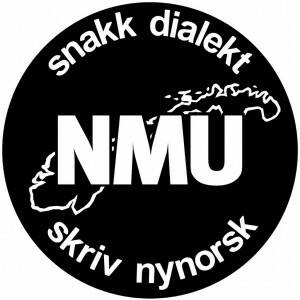 Scots is gey an siclike tae Catalonian an Icelandic in the wey aw three leids haes a great linguistic past but lost thair status whan the places thay ar spoken lost thair independence. The modern Icelandic alphabet has developed from a standard established in the 19th century primarily by the Danish linguist Rasmus Rask. It is ultimately based heavily on an orthography laid out in the early 12th century by a mysterious document referred to as The First Grammatical Treatise by an anonymous author who has later been referred to as the First Grammarian. The later Rasmus Rask standard was a re-creation of the old treatise, with some changes to fit concurrent Germanic conventions, such as the exclusive use of k rather than c. Various archaic features, as the letter ð, had not been used much in later centuries. Rask’s standard constituted a major change in practice. 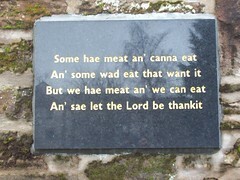 We need a Scots orthographie that connecks the modren leid tae its past (makars like Blind Harry, Henryson, Dunbar, Fergusson an Burns), tae its present (the wey Scots is spoken an wrote in Scotland an Ulster the day), an paves the wey for its futur (bi bein consistent sae that it’s easie tae lairn). It is probablie no gaun tae be muckle different fae the spellins promotit bi the Online Scots Dictionar, but a deceesion needs tae be made. It wad probablie be best tae creaut a new organisation for this ettle, lat’s cry it the Scots Leid Buird (SLB) in the follaein. Aince the orthographical principles is in place, the SLB needs tae creaut a dataset in electronic format that can be providit tae fowks, companies an organisations wha wants tae mak printit dictionars, Android apps, spellcheckers or onie ither uiss o’t. The dataset soud include place names. The dictionars creautit uisin this dataset wad be great for schuil beuks, dictionars an aw. Forby, the SLB soud provide advice on hou tae uise Scots an promuive the new orthographie an the Scots leid for ordinar, an thay soud wirk thegither wi the ither three Scots leid organisations aw the time. In a ideal warld, the SLB soud be fondit uisin government siller, but in the praisent circumstances (wi monie mair cuts comin wir wey fae Westminster) we micht need tae uise croudfondin insteid, least tae get the projeck stairtit. In ma professional life, A’m a expert in computational lexicographie, sae in anither blog post A micht hae a wee leuk at whit the dataset soud leuk like. Atween haunds A’ll be awfu interestit in hearin fae yese. Is this the wey forrit? Wha can help? Author thomasPosted on 2014/09/23 2015/10/03 Categories linguistics, scoLeave a comment on Whit wey can we revive the Scots leid? Ane o the mucklest differences atween auld an modren Scots is that the auld Scots grapheme <quh> /?/ wis replacit bi <wh> acause o influence fae Inglis. Houaniver, A think we soud consider gaun back tae <quh>. It’s a gey simple differ that lairners can pick up in nae time ava, an it merks a text as bein in Scots acause nae ither leid is uisin this grapheme. 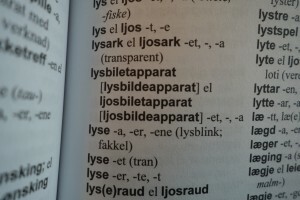 The oreeginal version leuks like distortit Inglis, but the new version is clearlie in anither leid. This isna juist acause o the uiss o <quh>, but it helps!